The Chosun Jorn: Can Jorn Andersen Make Sense of North Korean Football? The Chosun Jørn: Can Jørn Andersen Make Sense of North Korean Football? There’s a scene in Blackadder II where, having falsely claimed that he was planning a jaunt around the Cape of Good Hope, Blackadder is presented with what appears to be a map by Lord Melchett. The ‘map’ is completely blank. It’s to be hoped that someone directed a similar request towards Jørn Andersen upon his appointment as coach of North Korea in May 2016, as attempting to discover anything about domestic club football in North Korea is a venture into similarly uncharted waters. At a time when Donald Trump is allegedly busily divulging highly classified information to the Russians, obtaining the weekend’s football results from North Korea remains a nigh on impossible task. There’s more chance of the complete works of Pippa Middleton being required reading at the next meeting of the Congress of the Workers’ Party of Korea than there is of securing anything remotely resembling a meaningful match report, replete with line-ups and a tactics board. Even with no prior knowledge, it’s now relatively easy to gain a basic understanding of the teams and format of any national league around the world with just a smidgen of probing about the internet. However, whilst a quick perusal of the Soccerway site provides access to the latest league results in such hotspots as Afghanistan, Iraq and Syria, you’re going to be seriously disappointed should you be seeking details on North Korea. The esteemed RSSSF has but a few limited references and partial records, whilst FIFA, the somewhat less regarded international governing body of the game, has precisely nothing on their site relating to the national league. The DPR Korea Football Association reportedly had plans to create a new league with three divisions in 2017, at least in part to meet the requirements of FIFA’s new club licensing system that was due to be implemented this year. As things stand, nothing much has changed in North Korean football in terms of introducing any conventional league format but, with FIFA themselves being behind schedule, the deadline to comply may have been extended as a consequence. One of the aims of the FIFA directive is to ‘safeguard the credibility and integrity of club competitions’. Quite how FIFA are achieving this target when they evidently have precious little idea as to the workings of the domestic game in the DPRK is unclear. League tables and results from the likes of Anguilla, Mauritania and Papua New Guinea are all available on the FIFA site, but there’s not so much as a national league link for North Korea. Despite FIFA being in the dark as to domestic football in the DPRK, they do, somewhat bizarrely, have official dates for their transfer window. For those of you making notes in your diaries, all deals in 2017 must be concluded between 05 January and 05 February or 01 and 30 June. Could Jorge Mendes be finalising a deal at this very moment? It’s not just a case of only minimal information being made available to the outside world either, as all indications are that the domestic market is just as poorly served: it was recently reported that there were only 28 websites in North Korea, although they do have their own intranet system (Kwangmyong). 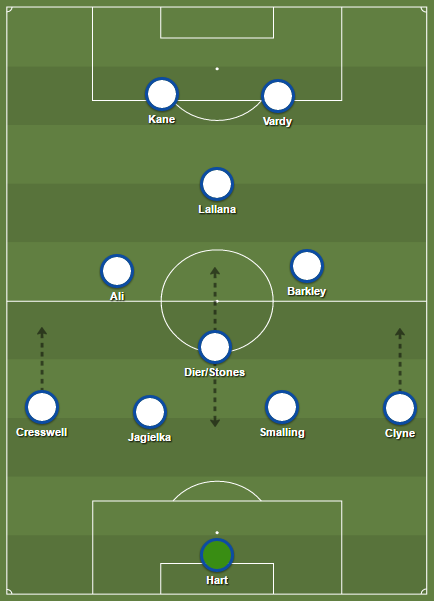 It’s probably safe to presume that there’s little in the way of pre-match tactical analysis of the big game between Rimyongsu and Amnokgang or even Pyongyang’s equivalent of Garth Crooks carefully crafting his ‘Team of the Week’ anywhere in the national media. Finding accurate and reliable information is a major challenge. Results are intermittently dripped out but, frustratingly, there rarely seems to be a complete set for any round of matches, let alone an entire competition. If Trump wants to stop leaks from within the White House, he could do worse than take advice from the North Korean FA. If ever there was a job for WikiLeaks or ‘the Russians’, then tracking down the results and league tables from the archives of the DPR Korea FA would represent a real challenge. There certainly seems little hope of finding any coverage of goalscorers, line-ups and meaningful match reports. So, what exactly we do know about domestic club football in the DPRK? For starters, there’s no conventional league season. Instead, a series of mini-tournaments are played throughout the year, in which football competitions of slightly varying formats take place alongside a number of other sports. These tournaments tend to run for little more than a month each, with the most significant apparently being the Mangyongdae Prize Sports Contest. As yet, there are no anecdotes as to defectors in darkened doorways on the Chinese border, surreptitiously passing Mangyongdae Prize Sports Contest xG details to undercover statisticians. The number of teams competing in each competition varies, with anywhere between eleven and sixteen being typical; just to make it even more unfathomable, the number of participants and formats for any given tournament can change year on year, for no apparent reason. Matches are played at pre-determined venues rather than on any home and away basis, which perhaps doesn’t help with regards to atmosphere. Unlike international matches, where vocal support can be orchestrated for the occasion, domestic club games are said to be played in near silence and usually before sparse crowds. There’s certainly no prospect of supporters ever heading en masse for Kim Il-Sung Square to celebrate an Osandok Prize Sports Contest triumph with a few beers and a raucous sing-song. What little information there is available to the outside world generally comes via the Korean Central News Agency (KCNA) and the Pyongyang Times (the weekly foreign language edition of the Pyongyang Sinmun). Unfortunately, such sources are anything but comprehensive, providing only a partial results service with little in the way of any meaningful detail. Even what they do publish can be downright contradictory from one week to the next, and it sometimes appears as though they could even be peddling ‘fake news’. The alternative (and more likely) possibility is that the local media has only a marginally better idea as to the workings of the domestic game than the rest of us. The Paektusan Prize Games gets the year underway in early February and, this year, it ran until late March. There were conflicting reports (from the same news site) as to whether this consisted of fourteen matches for each team on a round-robin basis or, as seems more likely, that it entailed seven matches apiece in a convoluted group system. Following the Paektusan, we have the Mangyongdae Prize Sports Contest. April 25 were crowned champions in 2016, with the first-stage consisting of round-robin matches between all the teams, followed by a second-stage group round-robin. Next up is the Pochonbo Torch Prize which takes place sometime around June. Last year there were just eleven entrants, with Amnokgang beating Sobaeksu 2:1 in the final. This was again initially contested on a group basis, with Kigwancha and Amnokgang reportedly progressing from Group A and Sobaeksu and Hwaeppul from Group B to the semi-finals. The Hwaeppul Cup (a.k.a. Torch Cup) usually begins around late July. In 2016 it was contested by fourteen teams split into two groups, with the top two in each progressing to the semi-finals. April 25 and Hwaeppul each won their group and went on to progress to the final. After a 2-2 draw, April 25 went on to win the cup in a penalty shoot-out. “The Hwaeppul Cup men’s first-division soccer final took place at the Sosan Football Stadium on August 28. The final was played between the April 25 and Hwaeppul teams, both of whom placed first in group league matches. The match between the two domestic powers was fierce from the kick-off. The April 25 opened the score. In the 9th minute, the April 25’s No. 10 stabbed the ball from the right wing high into the net. The high-spirited April 25 got even more pushy. Four minutes later, No. 10 also scored a penalty kick. To make up for the loss, the Hwaeppul attempted sudden counterattack while intercepting the opponent’s attack in the midfield. In the 32nd minute, its No. 9 gave a long pass from the midfield to No. 22, who dribbled the ball past a defender and goalie of the April 25 and rattled the net. A foul by the April 25 gave a penalty to the Hwaeppul’s No. 22 in the 82nd minute, who drilled home the equalizer. There was no more goal after extra time, so it was decided by penalty shoot-out. It’s symptomatic of how North Korea regards its own citizens that, whilst coverage of the game in many countries carries in-depth tactical analysis and delves into the minutiae of players’ lives off it, North Korean players are only referred to by their shirt numbers. Now it could be that this particular reporter usually covers ‘births, execution of high-ranking traitors by anti-aircraft guns, and marriages’ and was merely filling in for a colleague, but the likelihood is that this is standard policy to ensure that there is never any prospect of player adoration. There’s never going to be a guard of honour for any player in Pyongyang (‘legend’ or not) and hero worship north of the 38th Parallel is strictly reserved for the Supreme Leader, Kim Jong-Un, and his ancestors. Following the Torch Cup, the People’s Games start in October and were won last year by Kigwancha, with April 25 finishing as runners-up and Amnokgang being credited as having secured third spot. Unfortunately, despite being a major competition, additional information is decidedly thin on the ground. The year ends with the Osandok Prize Sports Contest held in December. In 2016, this consisted of fourteen teams and was played on a group round-robin and knockout basis, from which Hwaeppul emerged as champions. This year the Paektusan Prize Games were won by April 25 (with 19 points from seven matches), ahead of February 8 (16 points) and Hwaeppul (15 points). There were 15 teams participating (two more than last year), playing a total of 53 matches and featuring 156 goals. The leading individual scorer was Sobaeksu striker Jo Kwang with seven goals. It’s extremely rare for such statistics to be released. Treasure them! It was also reported that teams had become more varied tactically, perhaps at the suggestion of Andersen or as a result of a more general approach to improving the standard of the domestic game through the ongoing investment in youth football and improved coaching. The Mangyongdae Prize Sports Games got underway at the beginning of April but, after initially encouraging signs when the press furnished us with a near complete set of results from the opening round of matches (predictably enough, one result was absent), there was no further news until the tournament had been completed. The Pyongyang Times also informed us that, “after the group league matches, matches based on team standings between groups A and C and between groups B and D are slated for April 22 and 23. Final stage games for 1st – 8th place will be held on April 30 and placement matches for 9th – 16th on April 29”. There were no further reports until a summary of the tournament a week after its conclusion. If said report is to be believed, the sixteen teams were split into four groups and played on a round-robin basis, with the group winners – Hwaeppul, April 25, Sonbong and February 8 – progressing to the semi-finals. April 25 and February 8 emerged victorious (although there’s no details as to who beat who in the semis), with April 25 winning the final 2-0 at the Rungrado 1st of May Stadium. Hwaeppul secured third-place by beating Sonbong 1-0. April 25 are historically the dominant force in North Korean football, and the above results signify that is still very much the case. Whether their position at the top of the pile is based entirely on ability is uncertain, as the domestic game isn’t immune to a few dubious shenanigans. Back in August 2013, Kim Jong-Un attended the Torch Cup final between April 25 and Sonbong at the Kim Il-Sung Stadium, in which Sonbong eventually prevailed 8-7 on penalties after a 2-2 draw that went to extra-time. There was a celebratory mood post-game, with Kim even inviting the players and coaching staff of the victorious team to join him in the stands to offer congratulations and to have their photos taken with him – a huge privilege. 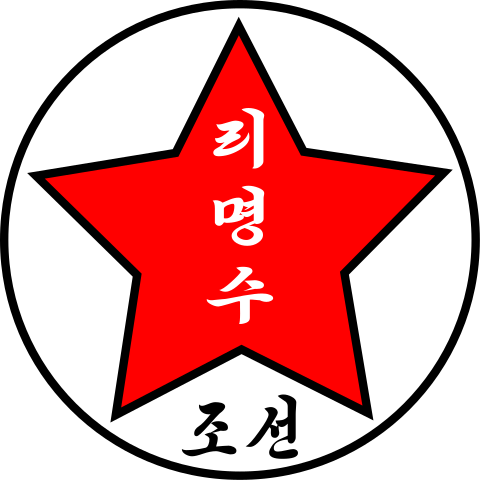 April 25 were now acknowledged as champions and Sonbong (the team of the Worker-Peasant Red Guards – the country’s largest civil defence force and under the control of the Ministry of People’s Armed Forces) were banned from participating in any matches for six months, although that part of their punishment appears to have been quickly forgotten. The only plausible explanation here that might justify Sonbong’s disqualification is that they fielded a suspended or otherwise ineligible player, although that then needs to be coupled with accepting that the quote as to making “the referee wrongly assess the ability of the team” is simply an unfortunate choice of wording in translation, rather than anything more sinister. The significance in those comments is that they were an indication that Kim Kyok-Sik (Chief of the Korean People’s Army General Staff) had been replaced by Ri Yong-Gil (Kim Kyok-Sik having ‘disappeared’ a few weeks earlier), at a time when many of the military elite from Kim Jong-Il’s era were being replaced by Kim Jong-Un’s own men. Could it be that the club of the Korean People’s Army (April 25) were supposed to win the trophy as some sort of public endorsement of Ri’s appointment? One outcome from last year’s football is that April 25 and Kigwancha were both granted direct entry into the group stage of the East Asia Zone of the 2017 AFC Cup (Asia’s equivalent of the Europa League, if you will), courtesy (apparently) of finishing as 2016 Mangyongdae Prize Sports Games winners and runners-up respectively. Kigwancha (who represent the DPRK railway) were scheduled to have to go through a play-off stage but, due to withdrawals, were able to take their place alongside April 25 and Mongolia’s Erchim in the group stage of the East Asia Zone of the tournament. Erchim proved to be the group whipping boys and, with both matches between the North Korean teams ending all square, it came down to who could pile up the most goals against the hapless Mongolians to decide who would claim the one qualification place. Ultimately the nine group goals of April 25’s striker Kim Yu-Song just about edged them home with a one-goal superior goal difference to Kigwancha. The young striker had a previous spell with Zürich II in Switzerland (along with midfielder Kang Nam-Gwon), so clearly possesses some ability. With regards to the national team, Andersen’s appointment followed what was a disastrous 3-2 defeat in the Philippines, resulting in North Korea’s early elimination from the World Cup 2018 qualifiers and the dismissal of the incumbent coach, Kim Chang-Bok. In typically unconventional fashion, there was no official statement from the DPR Korea Football Association as to Andersen’s appointment, with the news first being broken by the Norwegian media and then confirmed by Andersen’s brother, Henning. There has always been a nomadic element to Andersen’s career as both a player and a coach, but, on the assumption that he isn’t a convert to the state ideology of Juche or hasn’t had a lifelong ambition to coach in Pyongyang, it’s difficult to believe that he had any great knowledge of the squad he was inheriting, let alone any players on the periphery. There’s a meagre number of media outlets available for domestic consumption in North Korea and what there is is entirely state controlled. As such, there would have been no public dissent as to Andersen’s appointment (the second foreign coach to take charge of North Korea, following the Hungarian Pál Csernai in the early 1990s), but there would certainly be some validity in questioning the Norwegian’s suitability for the job. Paul Merson and Phil Thompson may have been rightly ridiculed for their questioning of Marco Silva’s credentials for the Hull City job earlier this year, but any North Korean could be forgiven were they to raise an eyebrow at Andersen’s suitability on the basis of his existing knowledge of their domestic game. Reports prior to Andersen’s appointment indicated that there was a desire to appoint a German coach, on the not unreasonable basis that Germany had won the previous World Cup with a German coach. 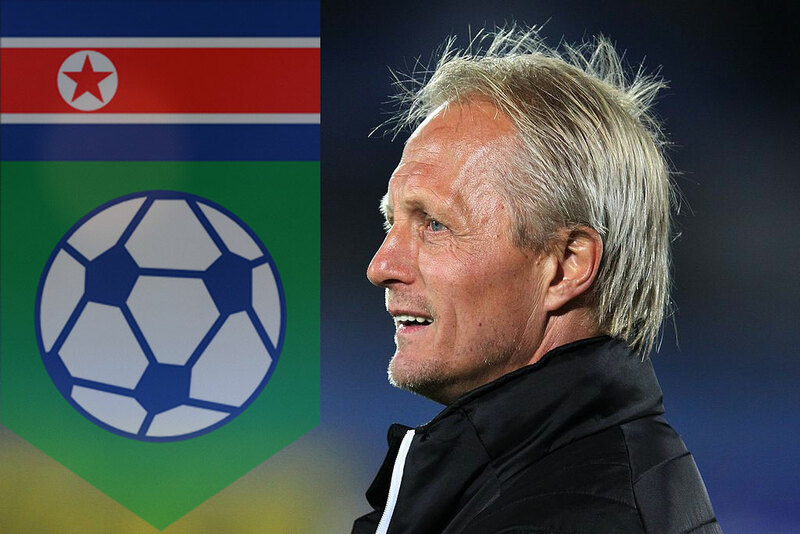 The DPR Korea FA are realistic enough to know that they could never attract the likes of Joachim Löw or Jürgen Klopp but, although Norwegian by birth, Andersen became a German citizen in 1993 and both played and coached in the country over a number of years. As a player, Andersen became the first foreigner to finish as top goal-scorer in the Bundesliga when scoring 18 times for Eintracht Frankfurt in the 1989-90 season. Perhaps his greatest claim to fame as a coach, prior to taking the North Korea job, was that he was sandwiched between Klopp and Thomas Tuchel at the then 2. Bundesliga club FSV Mainz 05 in the 2008-09 campaign. Andersen even led Die Nullfünfer to promotion, only to be sacked less than a week before the new season got underway. Most reports claimed that Andersen signed a one-year contract with the Chollima but, according to the man’s own blog at the time, his initial deal only ran until the end of 2016 with options to extend it beyond that point. Andersen is apparently accompanied by his wife in Pyongyang, where they reside on the 30th floor of a luxury hotel and are supplied with a chauffeur and private translator. The Pyongyang social scene might not compare to what the Andersens are accustomed to, but there is a growing selection of restaurants serving relatively cosmopolitan food (Chinese, pizza, etc) and they can even quaff North Korean-brewed Taedonggang beer, made with equipment from former British brewery Usher’s of Trowbridge, should they really want to hit the town. It’s been a perfectly satisfactory start for the new boss, with his first eight games at the helm resulting in six victories (Iraq, United Arab Emirates, the Philippines, Guam, Chinese Taipei and Hong Kong), one draw (Iraq) and one defeat (a hefty 5-2 loss to Vietnam), and the fact he is still in the job would indicate that his contract extension was indeed activated. His tenure with the Chollima got off to the proverbial flying start with a 1-0 friendly win over Iraq in Kuala Lumpur, and he has seemingly settled well into his new role, claiming (after just a few months training) that he was now in “perhaps the most fun job I’ve ever had”. Andersen went on to add, “These players are so disciplined and there are no whims as seen in European clubs”. That’s some breathtaking naivety on the coach’s part if he is genuinely unaware as to why his players are so compliant. Changes have been made to the squad he inherited, but many of those on duty against the Philippines have been retained – there’s evidently been no mass packing off of players to labour camps by way of punishment, as is often claimed. Andersen has received criticism from some quarters for taking the job, on the basis that it legitimises the regime. In reality, with North Korea receiving a near universal negative press under its hereditary dictatorship, it’s a tad unlikely that the appointment of a relatively obscure foreign football coach is going to do much to sway global public opinion. The Norwegian’s mandate is to prepare the team for the Asian Cup in 2019 (they’ve been drawn alongside Hong Kong, Lebanon and Malaysia – all teams currently below North Korea in the FIFA world rankings), with the ultimate aim of a place in the finals of World Cup 2022. Recent preparations have been hampered somewhat by the decision to postpone the home Asian Cup qualifier against Malaysia, which had originally been scheduled to take place at the Kim Il-Sung stadium on the 28th of March. That was until the assassination of Kim Jong-Nam, the half-brother of Kim Jong-Un, at Kuala Lumpur International Airport on 13 February put something of a dampener on the relationship between the two countries (which had previously been fairly amicable, at least by North Korean standards). The match was initially re-scheduled for June 8th, but, citing “Geopolitical tension”, “safety and security” concerns, and Malaysia’s football chief having said that he was worried players could be poisoned, the Asian Football Confederation (AFC) has now set a new date of 05 October. Andersen’s departure, when it comes, may well hinge upon such political machinations, rather than the results of his team. Come that day, Jørn, we’d all be terribly grateful if you could keep a record of all the domestic results, give us some vague idea of how each tournament actually works, and, if it’s not too much trouble, give us a detailed run-down of the comings and goings over the current transfer window. Featured image adapted from an original photo by Steindy. Used under the Creative Commons Attribution-Share Alike 3.0 Unported license.